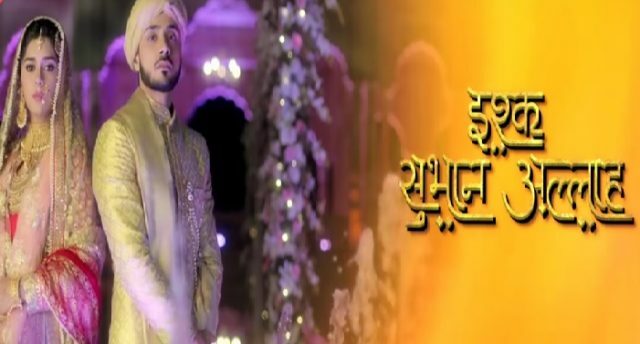 In the latest episode of Ishq Subhan Allah 5th November 2018, Zara plans to make Ruksaar conscious. The Today’s latest written update of the serial begins with Zara said to Kabir that you will not do this? They all are in the room of Ruksaar’s. Zara said to Kabir that if you spend the night with her then you will lose me, what about our love? She asks Kabir. Kabir said that the night of the today was the justice night for Ruksaar’s love has taken me away from you. Ruksaar has loved me for years and it is her victory tonight. He said to Zara that I will celebrate with her tonight, leave from here. He winks at Zara. To saw this Zara understand the situation. Then she says to her that you win, congrats I am defeated. She said to Kabir that I did not expect that from you, Zara said to Kabir that now I am going. She goes to the door, Kabir sadly looks at her face, she gives him thumbs up. She shows the victory of the problem. Kabir site on the bed with Ruksaar. She said that you will not greet your husband? You waited for this for so many long time , so the time is up and now this is our time so smile. She told to Kabir that I think your dreams have fulfilled, we married and I have started loving you but one dream is still remaining that is to spend the whole night with me. He brings poison bottle and said that to remember this poison? You wanted me and you have to drink it, you wanted to die with me. I have thought a lot and if I remain alive then I will be divided between you an Zara. Precap: Ruksaar screams and starts throwing things around. Zeenat tries to stop her but she pushes her away. Ruksaar starts feeling dizzy.